Before the anticipated second season of Victoria premieres on January 14, 2018, catch up with the first season Sunday nights on CPTV! Sunday, December 17, 2017 at 9 p.m.
Sunday, December 24, 2017 at 9 p.m. 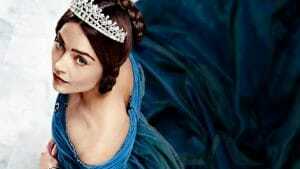 Facing rioters and suitors, Victoria grows into her royal role. Sunday, December 24, 2017 at 10 p.m.
Albert pays a visit against the queen’s wishes and meets royal disdain. Sunday, December 31, 2017 at 9 p.m.
Courtship at court leads to second thoughts and other complications. Sunday, January 7, 2018 at 8 p.m.
At loose ends in a foreign land, Albert finds a noble cause. Sunday, January 7, 2018 at 9 p.m.
Sunday, January 7, 2018 at 10 p.m.
On the verge of delivering her first child, Victoria spurns advice and ventures among her subjects.